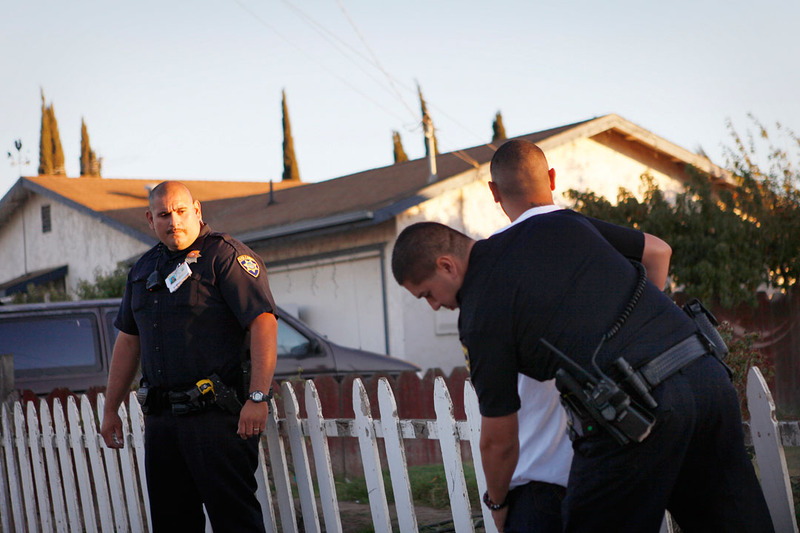 Police officer Jose Rodriguez conducts a search after a traffic stop with a car occupied by active gang members September 18, 2010 in Soledad. The four cities of Soledad, Gonzales, Greenfield and King City have a combined population of close 64,000 -- and about 1,500 of those people are gang members, say police. The largest city in the valley, Salinas, has a population of about 145,000 people and 3,500 gang members.